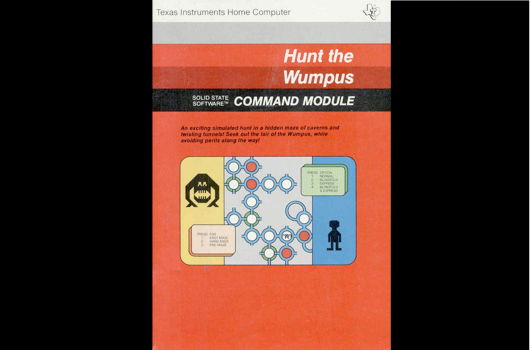 One of my earliest game experiences was playing Hunt the Wumpus on the TI-99/4A. I can't recall if we had this early home computer because my mother had gone back to school for a degree in computer science, or because my aunt worked at Texas Instruments. Anyway, I played a lot of Hunt the Wumpus, which was like Minesweeper meets Evolve. You're tasked with moving a hunter through various interconnected circles, where red dots indicated the Wumpus was two spots away, but there were also bats that could move you to another location and insta-death pits that were telegraphed like the Wumpus, only with green dots. It was one of the earliest games I can remember playing consistently, teaching me before I was in kindergarten on how thoughtful game design can convey a wealth of information. Games of a Lifetime: Alexander's picks originally appeared on Joystiq on Tue, 03 Feb 2015 11:00:00 EST. Please see our terms for use of feeds. The Ultimate Action Triple Pack and Ultimate Stealth Triple Pack from Square Enix will launch for Xbox 360 and PS3 in North America on March 31, a spokesperson confirmed to Joystiq today. 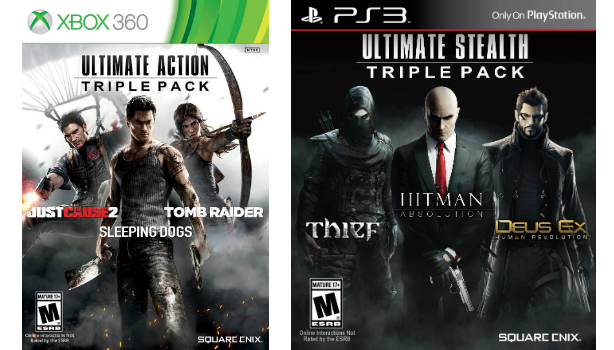 The Ultimate Action Triple Pack includes Tomb Raider, Sleeping Dogs and Just Cause 2; the Ultimate Stealth Triple Pack features Thief, Hitman: Absolution and Deus Ex: Human Revolution. North American Amazon listings for both packs hit the 'net earlier this week, with a price tag of $30 each. 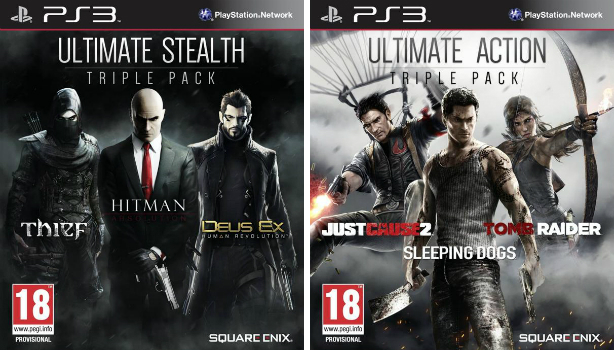 The Ultimate Action and Ultimate Stealth packs launched in Europe last year. Square Enix triple packs March to the US originally appeared on Joystiq on Fri, 30 Jan 2015 13:30:00 EST. Please see our terms for use of feeds. 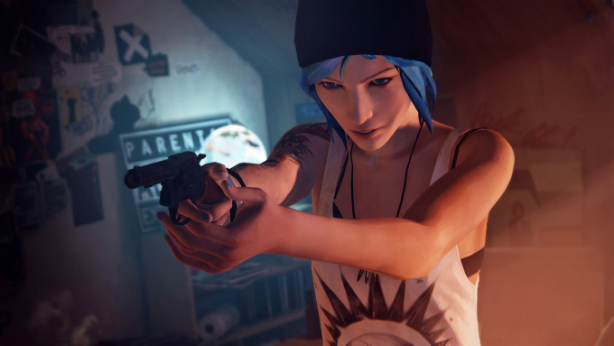 In Life is Strange you don't need a Cher button to turn back time. The $5 first episode of the teen drama is available now on Steam, Xbox One, Xbox 360, and it's on the way to PS4 and PS3 later today. For more on Dontnod's new joint, make some time for our preview. Find a way to watch Life is Strange's launch trailer originally appeared on Joystiq on Fri, 30 Jan 2015 08:15:00 EST. Please see our terms for use of feeds. 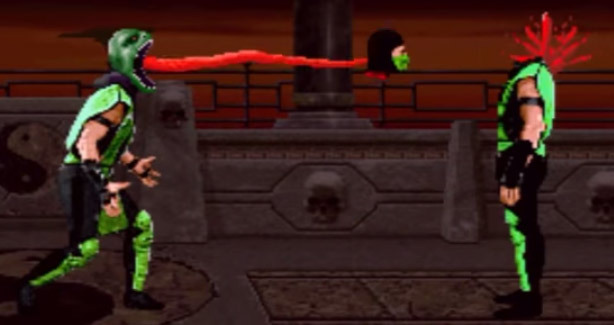 Yes, this Conan O'Brien "Clueless Gamer" bit features Mortal Kombat X (which, by the by, Ermac was just confirmed for). More importantly, we now know that sportsballer-of-few-words Marshawn Lynch likes to play Toad in Mario Kart, while Rob Gronkowski is all about the Bowser. For several reasons that shouldn't need elaboration, this video is possibly NSFW. Watch Marshawn Lynch play Mortal Kombat X, say more than 7 words originally appeared on Joystiq on Fri, 30 Jan 2015 06:00:00 EST. Please see our terms for use of feeds. Hoping to both stress test its servers and drum up an extra bit of pre-release hype, publisher EA has announced plans for a five-day beta test of its imminent cops versus robbers shooter Battlefield Hardline scheduled to begin on February 3. "There's nothing more valuable to our team than the relationship we have with our community. 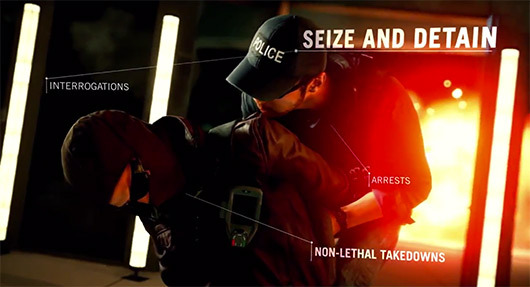 Their passion feeds our passion and their feedback has definitely helped make Hardline a better game," said Battlefield Hardline executive producer Steve Papoutsis. "We want them to play the hell out of the beta next week and trust that they'll keep that feedback coming so we can continue to fine tune the game." The beta test will be available on PlayStation 3, PS4, Xbox 360, Xbox One and on PC via the Origin digital distribution platform. No purchase is necessary to join the beta, but the file is likely to be a big download, so hopefully you have bandwidth to spare. Battlefield Hardline beta test arrives February 3 originally appeared on Joystiq on Thu, 29 Jan 2015 20:00:00 EST. Please see our terms for use of feeds. Heartstrings-tugger Brothers: A Tale of Two Sons is one of three Games with Gold freebies for Xbox Live Gold subscribers next month. 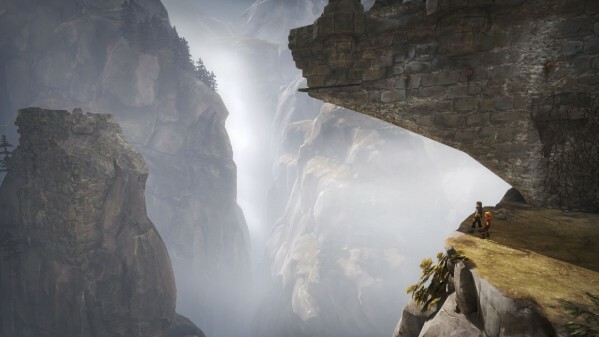 On Xbox 360 you can grab the Joystiq Top 10 of 2013 puzzle-platformer for zero centage between February 1-14. Then, after taking a deep breath, you can grab Sniper Elite V2 between February 15-28. As revealed last month, #IDARB's pixelated sportsball madness is also free through February for Gold members. The Xbox One eight-player side-scroller has a regular launch price of $15. Xbox Games with Gold in Feb: IDARB, Brothers, Sniper Elite V2 originally appeared on Joystiq on Thu, 29 Jan 2015 08:00:00 EST. Please see our terms for use of feeds. Who's next? Mortal Kombat series veteran Reptile will return in the upcoming multiplatform sequel Mortal Kombat X, developer NetherRealm Studios confirmed with IGN this week. After making his debut as a hidden character in the original Mortal Kombat, Reptile went on to appear in many subsequent series entries, boasting a moveset that revolves around his ability to spit acid and draw in his opponents with magnetic projectiles. Hopefully, you won't need to trigger a secret match-up to see him this time around. 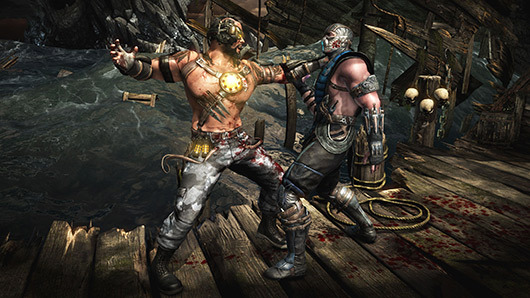 Mortal Kombat X will launch for the PlayStation 4, PS3, Xbox One, Xbox 360, and PC platforms on April 14. Reptile gets the go-ahead for Mortal Kombat X originally appeared on Joystiq on Wed, 28 Jan 2015 21:30:00 EST. Please see our terms for use of feeds. The songs that fill the tavern at Skyhold are now yours for the downloading, for free until February 9, when they will be sold on "popular digital platforms," BioWare says. The download includes sheet music, as well. "If you've indulged in the opportunity at Skyhold's tavern to enjoy a break from the demons and Venatori, chances are you've heard some of the bard's lovely songs," BioWare writes. "Although bards do perform to entertain travelers, they also serve a greater purpose: to carry the tales of triumph and tragedy across the land. We've received many inquiries from our fans asking where they can get these songs, and we're thrilled that you're enjoying them as much as we do." The tavern songs from Dragon Age: Inquisition are performed by Elizaveta and written by Hollywood composer Raney Shockne. 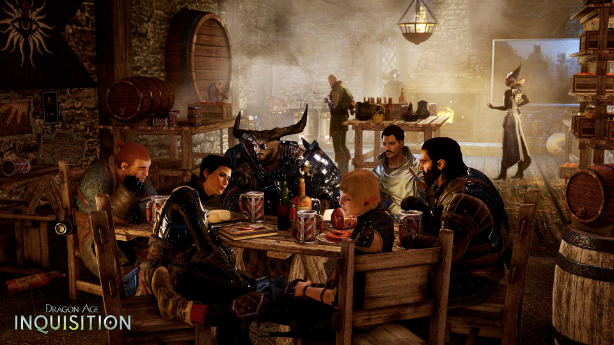 Grab a pint with free Dragon Age: Inquisition tavern songs originally appeared on Joystiq on Wed, 28 Jan 2015 20:30:00 EST. Please see our terms for use of feeds. Square Enix is preparing to launch the Ultimate Action Triple Pack and Ultimate Stealth Triple Pack for PS3 and Xbox 360 in North America this year, according to listings on Amazon spotted by @Wario64. The Action Triple Pack includes Tomb Raider, Just Cause 2 and Sleeping Dogs; the Stealth Triple Pack features Thief, Hitman: Absolution and Deus Ex: Human Revolution. Each bundle is $30 and available for pre-order. The release date - December 31, 2015 - is most likely a placeholder. The Stealth and Action triple packs launched in Europe last year for £30 / €40 each. We've reached out to Square Enix for clarification on the release date. Square Enix action, stealth triple packs head to North America originally appeared on Joystiq on Wed, 28 Jan 2015 13:30:00 EST. Please see our terms for use of feeds.